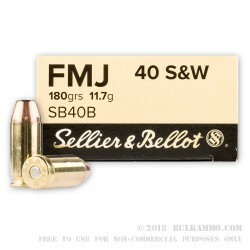 This .40 S&W ammunition from Sellier & Bellot is a cost-effective target load that doesn't compromise on reliability or accuracy. 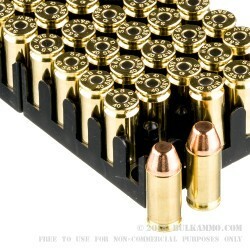 Each cartridge in this box of 50 fires a 180 grain full metal jacket bullet at a muzzle velocity of 968 feet per second, generating slightly below-average recoil. 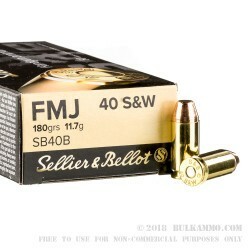 This ammo is a great choice for training with a .40 Smith & Wesson carry pistol, especially if you carry a lighter-kicking defensive load. 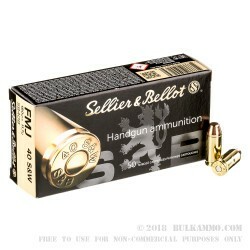 Sellier & Bellot (or S&B) ammo is made in the Czech Republic, where the company has been based since its founding in the 1820s. 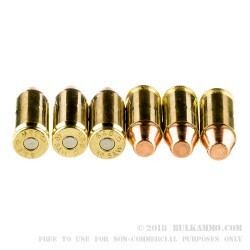 It uses non-corrosive Boxer primers and reloadable brass cases. The ammo worked great in my sig 226. It was clean burning and produced no ftfs.